Loudon’s long and illustrious career is highlighted by more than two dozen album releases, Movie and TV credits, and now his new autobiography, Liner Notes (2017 Penguin/Random House). In 2010 Grammy for Best Traditional Folk Album for High Wide & Handsome: The Charlie Poole Project. His 2012 recording, Older Than My Old Man Now, was named one of NPR’s Top 10 Albums of the Year. In 2014, Haven’t Got the Blues (Yet), marks his the 26th career release to-date. September 2018, Loudon releases a new retrospective album, Years In The Making, a double CD with more than 45 tracks – live performances, demos, outtakes, unreleased songs spanning 50 years. 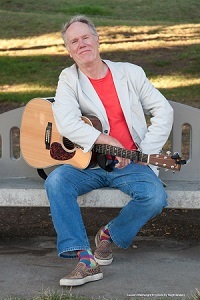 Wainwright is perhaps best known for the novelty song “Dead Skunk (in the Middle of the Road)”, and for playing Captain Calvin Spalding, the “singing surgeon”, on the American television show, M*A*S*H.
His songs have been recorded by Bonnie Raitt, Johnny Cash, Earl Scruggs, Kate & Anna McGarrigle, Rufus Wainwright, and Mose Allison. He has collaborated with songwriter/producer Joe Henry, on the music for Judd Apatow’s hit movie Knocked Up. Loudon penned music for the British theatrical adaptation of the Carl Hiaasen novel Lucky You. He composed topical songs for NPR’s Morning Edition and All Things Considered and ABC’s Nightline, and recorded several songs for the soundtrack of HBO’s Boardwalk Empire. Advance Reserve Seating Tickets: $39 1st Section; $34 2nd Section; $29 3rd Section; $24 4th Section + applicable fees. Lincoln Theatre Members receive $2 off.